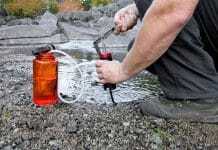 Water is essential for wilderness survival. 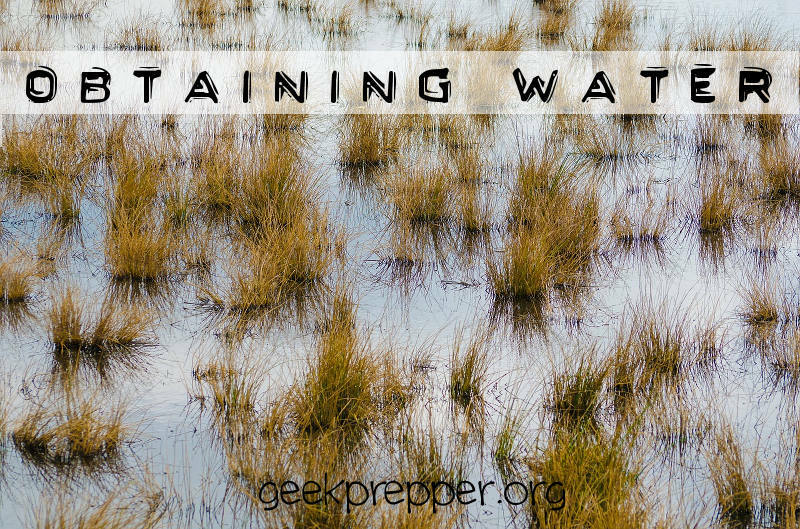 Obtaining Water and staying hydrated during any survival scenarios is important. When you are in a wilderness survival situation, you need to prioritize your needs. The Law of Threes helps provide a solid guideline as to what you need to prioritize, when you are trying to survive in the wilderness. Survival is possible for three minutes without air. Survival is possible for three hours without warmth. Survival is possible for only three days without water. 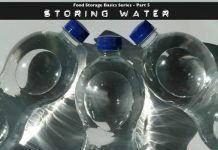 Survival is possible for three weeks without food. Your body can survive for up to 3 weeks without food, but cannot function properly without water for more than 3 days. Animals always know where water is, so be on the lookout for animal tracks. These tracks may lead you to fresh water. Watch for Green vegetation, where other vegetation may appear dry and brown, and clouds of insects as they may also indicate that water is near. Although it can be difficult, finding water in a desert environment is possible when equipped with the right knowledge and skills. There are many places in the wild with lots of streams. It may be tempting to drink directly from them, especially if the water is clear and appears clean. Always remember that clean water is rare and hard to come by. Even if it appears clean, it most likely isn’t. Contaminated water can cause illnesses, upset stomach and diarrhea, which will only add to your dehydration. To try and avoid bad water, walk upstream. Follow the stream until you find the head of the spring or the main source of the stream. This water will be the purest and best option, if you have no other choice. 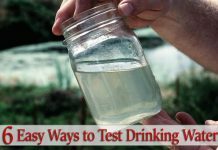 To be 100% safe you need an easy way to purify your water to make it safe to drink. When on wilderness adventures, it is advisable to bring along enough water for the outing, plus some extra water for emergency situations. If you are unable to bring along enough water, then make sure to include a portable water filters like the Sawyer Mini or LifeStraw to help you with obtaining water and making it safe to drink. You should always have the means to boil some water also. This would mean that you would need a stainless steel or titanium camp cup or container that you can put use for boiling water and a camp stove or the ability to build a camp fire. Use a bandana, shemagh or other piece of fabric over the opening of your water container, when bbtaining water from dirty sources, to limit the amount of debris in your water, then boil it or filter it accordingly. If you don’t have the ability to make fire, to boil water and can’t filter it either, try to gather some of that morning dew. Tie your bandana, shemagh or other piece of fabric around your lower ankles and walk through the dewy vegetation, stopping to wring your wet fabric into your mouth or water gathering container. Gathering rainwater is also a great source of fresh and pure water but as it may not be in the forecast, it should not be fully relied on. If it does start raining, use your raincoat, poncho, tarp, tent, buckets, anything you can find to direct this water into a container of some sort. If no container is available, open up and drink your fill! Water is essential for wilderness survival. Make sure that you stay properly hydrated during any activity.